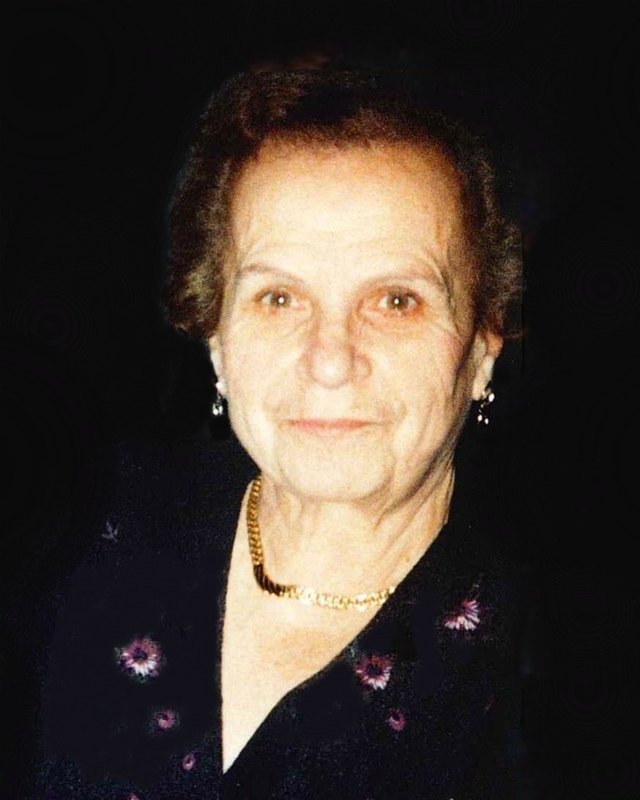 Concettina (Coco) Barbagallo, 99, of Methuen passed away Sunday, April 14, 2019 at Mary Immaculate Health Care in Lawrence surrounded by her loving family. She was born in Italy and was the daughter of the late Alfio and Rosa (Torrisi) Coco. Raised and educated in Italy, Concettina moved to Lawrence in June of 1962 and lived in Methuen for the greater part of her life. She worked for twenty years as a stitcher at Grieco Brothers in Lawrence and enjoyed cooking, gardening, and most especially attending to her garden of flowers. She was proud of her achievements but she was most proud of her family, in particular, her beautiful grandchildren and later great-grandchildren. Also, she was a parishioner of Corpus Christi Parish at Holy Rosary Church in Lawrence and was a member of St. Rita’s Sodality. The family would like to extend their most sincere thanks to the caring staff at Mary Immaculate Health Care on floor 3A. Concettina was predeceased by the love of her life, with whom she shared seventy-one years of marriage, Mauro Barbagallo; and siblings, Alfio Coco, Giuseppe Coco, and Antonietta Grasso. She leaves behind her adored children, Frank Barbagallo and his wife, Carmen of Methuen, Antonio Barbagallo and his wife, Carmen of North Easton, and Agatha Aiello and her companion, Joseph Beraldo of Methuen; cherished grandchildren, Joseph Aiello and his fiancée, Danielle Ross of Haverhill, Stephanie Cavallaro and her husband, Kevin of Venice, FL, Maria Caruso of Haverhill, Anthony Barbagallo and his wife, Faten of Bradford, John Barbagallo and his companion, Juliana of Providence, RI, Carmen Gregory of North Easton, and Mark Aiello and his wife, Colleen of Methuen. She also leaves behind nine great-grandchildren; sister-in-law, Grace Coco of Methuen; and several nieces, nephews, cousins, and extended family. Family and friends are respectfully invited to attend calling hours on Tuesday, April 16, 2019 from 3:00 – 7:00 PM at Cataudella Funeral Home 126 Pleasant Valley Street in Methuen. A funeral mass will be celebrated on Wednesday, April 17, 2019 at 10:00 AM in Corpus Christi Parish at Holy Rosary Church, 35 Essex Street in Lawrence. Burial will follow in Immaculate Conception Cemetery, Lawrence. In lieu of flowers, donations in Concettina’s memory may be made to St. Alfio’s Society, 20 Common Street, Lawrence, MA 01841.